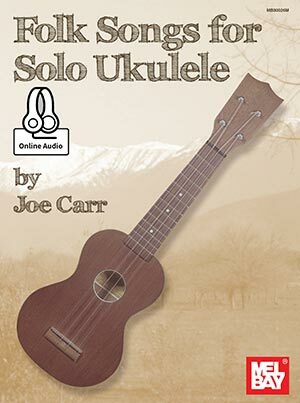 Folk Songs for Solo Ukulele includes 29 classic folk songs arranged for chord-solo-style ukulele. In this style, the melody is voiced on the highest string while the harmony is voiced on the lower strings, creating a beautiful solo sound. Guitar chords are included if accompaniment is desired. The tunes represent the rich palette of American and English folk music. The book comes with access to online audio.